Kidney stones are crystalline solid masses. They are mainly formed in the kidney but they can develop in the urinary tract. Your kidney, ureters, urinary bladder and urethra together form your urinary tract. Kidney stones are medically termed as renal calculi. These stone masses can be of different sizes measure in millimeters. Uric Acid – Uric Acid can also result in formation of kidney stones in both men and women. This is caused if your urine is too acidic. People suffering from gout problems or taking chemotherapy may lead to such conditions. Purine rich diet can also risen up urine’s acidic level. Purine is found in proteins of animals like fish, meats, some sea food, etc. Struvite – Women facing urinary tract infections are likely to form struvite which is a type of kidney stone formed out of magnesium ammonium phosphate. They grow larger in size and causes obstruction in your urinary tract. These substance are formed mainly because of the infections. You can avoid its formation if you treat the infection well before time. Cystine – Cystine is a rare kind of kidney stone. They are found in both men and women having cystinuria. Cystinuria is a genetic disorder that forms cystine in your body. Cystine is an acid that leaks from your kidney in your urine. When kidney stones can be formed in any part of your urinary tract, obstructing various passages of the urinary tract. As it grows or moves it blocks the area causing pain through that area. Your urinary tract is located in the pelvis just above and behind the pubic bone. Hence, any blockage can affect the entire section causing serious pain. Your stomach and abdomen region also gets affected if any blockage in the urinary tract occurs. These blockage when stuck can obstruct flow of blood and various other fluids inside your system. If it enlarges and moves through your narrow blood vessels it hurts causing severe pain. Crystalline kidney stones can block various regions inside your kidney and damage it. This may rupture your blood vessels I side the kidneys which can cause leakage of blood in your urine. 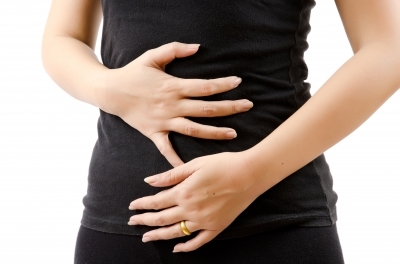 Unusual pain inside your belly or groin can upset your stomach and cause nausea. Upset stomach and severe pain inside your belly may sometimes lead to vomiting or can make you feel giddy. Severe aching of stomach, lower side of your back and abdomen can keep you sleep deprived all night making you feel restless and irritated. You can feel like visiting wash rooms more often to urinate when you have kidney stone problems. Blockage in your urinary tract may lead to division in the flow of your urine, hence, increasing the frequency of urination. If there is a presence of one or more kidney stones inside your urinary tract they can hamper the flow of your urine causing trouble and pain when you urinate. Stones that flow along with your urine can move out of your body, except for those with larger size. Larger ones can cause a back up of your urine in your kidney, ureter, bladder or the urethra giving a bad smell when you pee. Lack of Water – One of the major cause that lead to formation of kidney stone in side your body is lack of water. Kidney stones are very popular in people who consume less amount of water throughout the day. One must drink at least 8-10 glasses of water daily. Lack of water drops the pH level of your kidney making it acidic. Acidic environment endures the formation of stones. Hence, water can stop the formation of kidney stones in your kidney. It also helps in diluting this crystalline substance if in case they are formed. Excess amount of calcium and Vitamin D – If the level of vitamin D and Calcium rises in your blood and urine, it can cause kidney stones. Calcium and Vitamin D supplements can increase the risks of developing kidney stones. If your are taking these supplement make sure your intake do not exceed the required amount. Family history of Kidney Stones – If your family has a history of kidney stones, you may be likely falling in this category too. A family history of kidney stone is much more common in men. Kidney stone can be very frequent and can also reoccur also in such individuals. Dietary issues – If you are consuming protein at a higher concentration in your diet, it can also result in kidney stone formation. High protein, low fibre diet can increase the acidic level of your urine. These conditions helps in development of stones in your kidney. Based on the severity of your condition, size and type of your kidney stone, treatment measures can vary. To easily deal with your kidney stone, one should drink six to eight glasses of water everyday to increase the flow of your urine. Kidney is an important organ and kidney stone hampers the functioning of the kidney. Hence, every individual must keep such problems at bay and treat them as early as possible to keep your kidney healthy. Many more treatment options available for kidney stones. You can find the information and prices about kidney stones click. Patients are given narcotic medicines to relieve their pain. Antibiotics can be recommended for patients having infections. Now-a-days people have switched from allopathy medicines to homoepathy medicines to deal with their kidney stone problems. Ureteroscopy is method used for dealing with your kidney stone. Procedure include insertion of tiny flexible telescope into your bladder and ureter. It helps your urologist to look inside your ureter, search for the stone and remove it. This surgery also include passing a tiny wire inside your ureter through the bladder, grab the stone and release it outside. Helium laser devices are also used to find the other fragments of the stone. This method is mostly carried out when the stone is located in your ureter or bladder. Lithotripsy is one of the method to treat kidney stones. Extracorporeal shock wave lithotripsy uses sound waves in order to break larger kidney stones so that it can easily pass down the ureters into your bladder. This procedure is carried out under low anesthesia and can be uncomfortable for the patient. Percutaneous Nephrolithomy or Tunnel Surgery is an invasive procedure that includes a incision through the skin of your back, to remove the stone from your kidney. Stones that are present in your pelvic region can be easily removed using this process. Stones up to 2 cm in size can be removed.